Rustic chic design is not actually as knew as some people think. It is just more often used now as a term. In the past we were usually talking about weddings when saying rustic chic but now the term did grow to cover various parts of interior design. The “new” home décor style that falls into the rustic chic category is eye-catching, a combination of different aesthetics with a focus on both tradition and modern elements. The big problem with rustic chic is achieving the right balance. This is why everyone interested in creating a perfect rustic chic design should know some things. We will focus on them in the following paragraphs. Rustic chic is all about the creation of contrast in a room. You want to basically offset the country pieces with current, modern selections. This is really easy to do with the use of modern furniture because of the huge variety available at the moment for practically all budgets. You want to go bold. Select pieces that make people roll eyes. You can go for straight, sleek lines or go full crazy with artistic curves and eye-catching elements. Stainless and chrome can work great when put up against wood. Just be sure that you always opt for fundamentals when referring to placements. Put everything that is bold in a cozy area so that room functionality can be as clear as possible. Charm is really important for rustic areas. Little touches are needed to add that welcoming and warm feeling you want to see in a room. 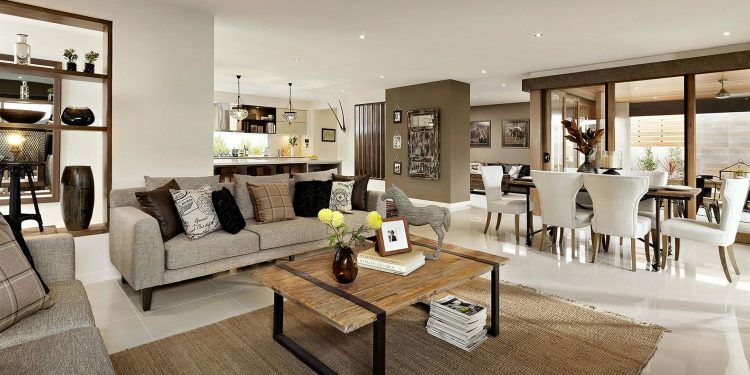 It does not matter if the space looks modern as you do want to add some country, bold and big rustic elements. A great way to achieve this is through accessories. Rustic accessories are very useful since there is a lot of freedom available while giving the visual impact you want without it overwhelming the room. You can always use lighting, wall art and simple décor items all throughout the space. If the rustic feel you want needs to be larger, use the rustic element as a focal point. Rustic spaces are built around natural materials. You can basically bring the outdoors indoors although you can always just create the image of a rural territory. Rustic chic design uses natural palettes through materials in most cases. You can basically add a lot of wood and stone. If you can put it in all rooms, perfect. Wood and stone are useful in any element from flooring to fireplace face. Remember though that modern spaces are going to favor the lighter shades. You want to have everything airy and light. The cozy feeling is a vital part of the rustic space. You basically need that even more in rustic chic design. Textiles are often used because they just add more warmth. Try to use duvet covers, pillows, blankets and rugs. Also, use textiles in various parts that you normally do not take into account. There is nothing wrong with adding a rug in your kitchen in rustic chic design. Rustic chic is definitely not new. Wedding magazines have been covering the trend for a really long time. However, it is just now that popularity is high among the interior designers. It is definitely a modern hit.